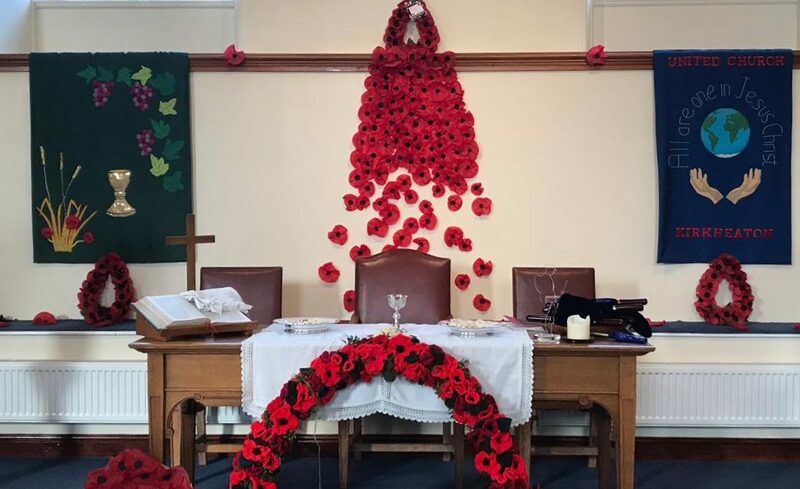 Two hundred and ten poppies were knitted or crocheted by member of Kirkheaton Community Centre Knit and Natter group to commemorate the end of the Great War 1914 -1918. 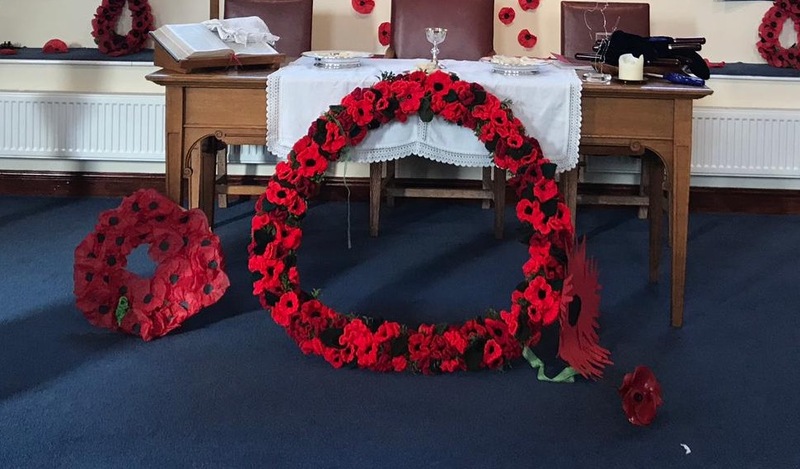 The poppies were then brought together into a wreath by one of the group’s members, Linda Jenkinson. 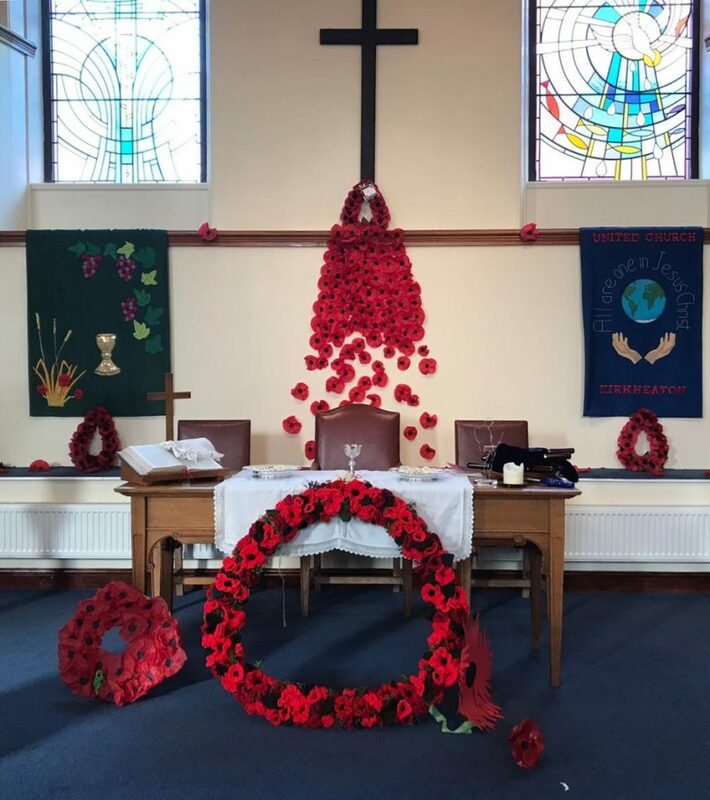 The wreath was one of the centre pieces of the Service of Commemoration for the end of the war at the United Church exactly one hundred years later on the 11th November 2018.